This package has been sitting in my cabinet for a bit- I won’t lie! First off, if anything can stay that long in a cabinet- it’s certainly not fresh! I think someone bought this for me but I feared eating it because it had the word pasta in it. After some recent blogs about miracle noodles, shirataki, konjac, zucchini pasta and so on.. my fear went away. Mind you after I ate it.. lol.. and then read the calories.. the FEAR IS BACK! This time I will let it stay- I don’t need to get back on a noodle bandwagon! This was a quick sauté! I put some olive oil in a pan and added the garlic and onions. I added the tomato, chick peas, slightly patted dry tofu and spices. The mung bean pasta went in next followed by the zucchini. The whole sauté only lasted 10 minutes. I topped this with sliced avocado! 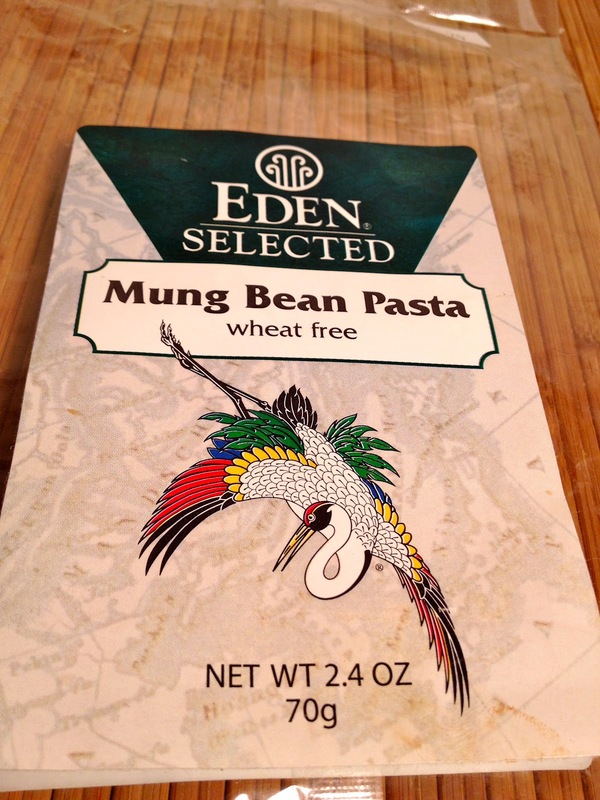 Now that I write out the ingredients- did I need the mung bean pasta? No! Do you see the calories? Calories need to bring some nutrition with it! 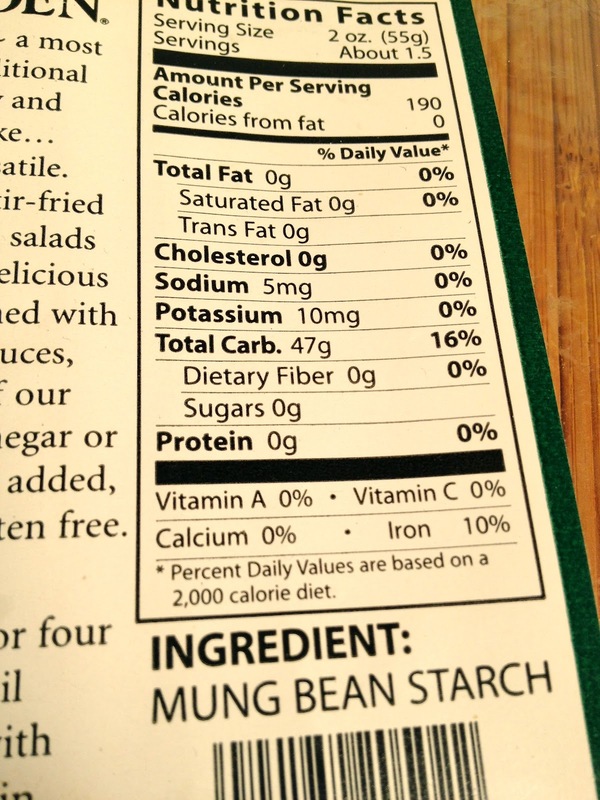 There isn’t any fiber or protein here but at least it provides for 10% of the RDA for IRON. For the record though, it made for a superb and complete meal!